There are many disadvantages to living in the city centre, the noise, the people, the noisy people pooing on your doorstep noisily, but there are also, on occasion, some advantages as well. 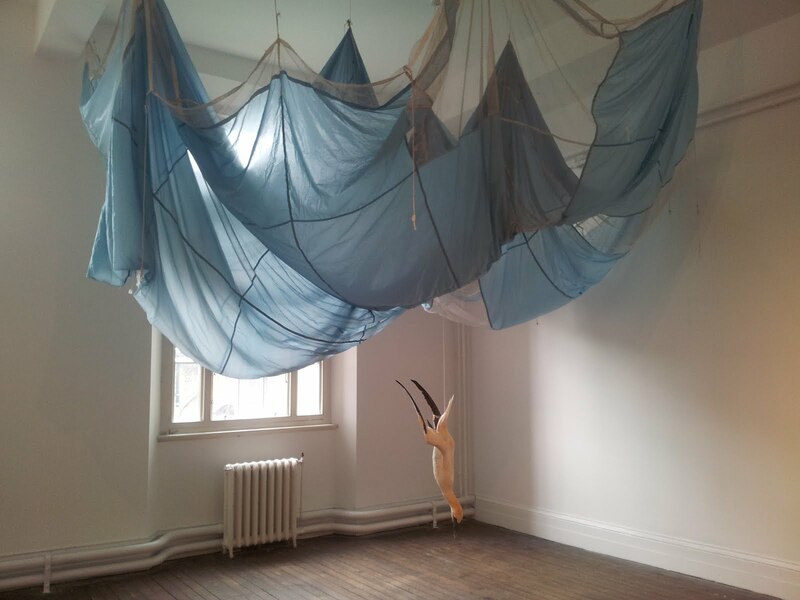 With the temporary closure of the Irish Museum of Modern Art in Kilmainham for some serious refurbishment, parts of the Earlsfort Terrace building adjacent to the National Concert Hall have been annexed by IMMA and will host a number of bijou exhibitions while its main campus is under wraps. Housed in the same wing as last year's Dublin Contemporary show (minus the day-glo orange colour scheme) but currently occupying only the ground floor, the first of these IMMA road exhibitions, Time out of Mind opened a fortnight ago and runs until the 2nd of September. Given its compact nature, and the fact that it's free, it is the ideal distraction for an hour or so, a bit of lunchtime cooltcha nestled between your €5 Ballymaloe panini and your mochafrapacrapaccino. "Art and science ask many of the same questions, traditionally the one through creative tension, the other using systems and empirical analysis... Yet while [artists] may draw on scientific concerns and often bring important scientific ideas within reach, their central aim is to communicate experience. In many cases their work is shaped by oblique and indirect agency rather than direct intentionality. Artists operate in ways open to the experimental and also to the possibility of failure that turns out to be enabling rather than disabling, what the artist Tacita Dean calls "objective chance". Which explains the gannet then, I suppose. The show features works from IMMA's Collection, many of which I can't remember seeing before, so maybe they had them sitting in a warehouse somewhere just waiting for an opportunity to shine. 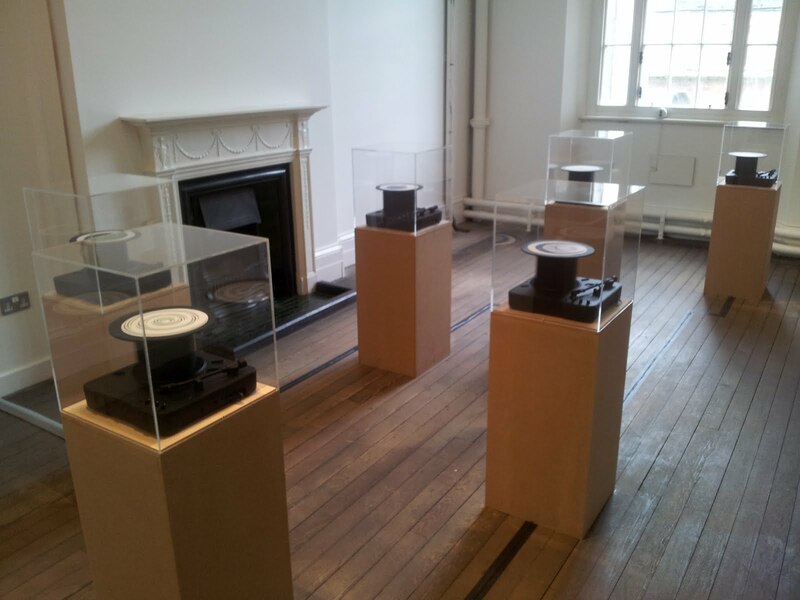 The oldest piece in show is Marcel Duchamp's Rotoreliefs (Optical Disks) 1953, a series of illustrated spools playing on black painted record players, each disk creating a different optical pattern or illusion as it spins, while most of the other works are from within the last decade. Interestingly enough the show contains a good few video installations, something that I normally avoid like the plague (there's only so many times you can watch someone hula-hoop with barbed wire), but Isaac Julien's 2002 Paradise Omeros, filmed in London and St Lucia loosely to the theme of Dereck Walcott's poem Omeros and shown across three screens, sucked me in for twenty minutes even if it left me feeling that it was less Art+Sciencey than the gannet. Also well worth seing is the much shorter 2004/2005 piece Dark Mirror by Carlos Amorales, consisting of two parallel films, one animated, the other of a pianist providing the accompanying soundtrack, projected back-to-back on to two sides of a floating screen. It was also interesting to see what IMMA did with the building in comparison to the Dublin Contemporary folks, and although it is on a much smaller scale I feel that the pieces were more sympathetic to their environs than many of those used in the same spaces by Dublin Contemporary. If you live or work in Dublin city centre, it's well worth dropping in some afternoon. It won't take you long (unless you stay to watch a film in The Annex), you might like it, and did I mention that it's free?